First Life Financial Co., Inc. (First Life) provides the best financial advice to Filipino families. We strive towards protecting your finances and securing your future. For over 50 years, First Life has maintained a leading position among life insurers in the Philippines. Through an expansive range of individual and group packages, First Life is committed to deliver competitive, world-class service to help your family manage your present and future financial needs. In First Life, we aim to provide meaningful, adequate and responsive financial security products and services to every family through placing our customers first. United in the goal of company growth and stability, members of our organization guarantee to treat every client with respect, care, and excellence. First Life is made up of highly decorated insurers focused on providing indispensable financial guidance. With unyielding determination, our core team treats every client as their top priority. Builders Life Assurance Company, Inc. was established, eventually becoming the Corregidor Life Insurance Company. First Life moves to the Makati Central Business District from its home in Escolta. First Life opens its Escolta, Pampanga and Cebu branches. First Life opens its Pasig Branch in Ortigas Center. First Life forms partnership with Dai-chi Life. First Life inaugurates First Life Center, its new corporate headquarters, as well as its Bacolod Branch. The Company reaches the 21 billion level in total life insurance in force, representing 232% growth. First Life opens its Lipa Branch. First Life launches the First Life Values Photo Contest. First Life launches retirement product, “1st Cash Builder”. The Company is renamed First Life Financial Company, Inc.
First Life launches “1st Investment Plus”. First Life reaches 1 Billion in Premium Income. First Life launches “Regular Investment Peso iProtect”. First Life opens a new branch in Dagupan City, Pangasinan. 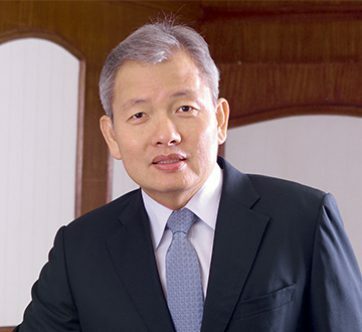 The Coyiuto Group of Companies buys Corregidor Life to enter the life insurance industry. It launches First Guarantee Life Assurance Company, Inc. (First Life) as the Group’s life insurance arm, complementing Prudential Guarantee and Assurance Inc., its non-life business venture. First Life launches its dividend paying product “Millennium”. First Life receives the Life Office Management Association (LOMA) Recognition of Excellence in education, and launches its “Bless the Children” charity. First Life forms partnership with Swiss Life. First Life President Peter Coyiuto assumes PLIA Presidency. First Life changes its logo. First Life’s Bless the Children helps “Nayon ng Kabataan” kids with the Booklat & Medical Mission Program. First Life advocates Life Insurance with the movie, “Mano Po 2”. First Life holds leadership summit. First Life celebrates its Golden Year. First Life launches “1st Asset Builder 88”, and holds another leadership summit at the Manila Polo Club. First Life launches “1st Investment Dollar Max” and “CA Protect”. First Life opens a new branch in Cabanatuan City, Nueva Ecija.